The Telltale crew is down in Los Angeles for the annual E3 Gaming Expo and today they shared the very first screens and cast details for the upcoming Batman: The Telltale Series. The episodic series will premiere digitally on home consoles, PC/Mac, and mobile devices. The series will also be available on game consoles as a special 'Season Pass Disc' which will be available at retailers across North America, Latin America, and Europe later this summer, granting access to the five episode season as it becomes available for download. 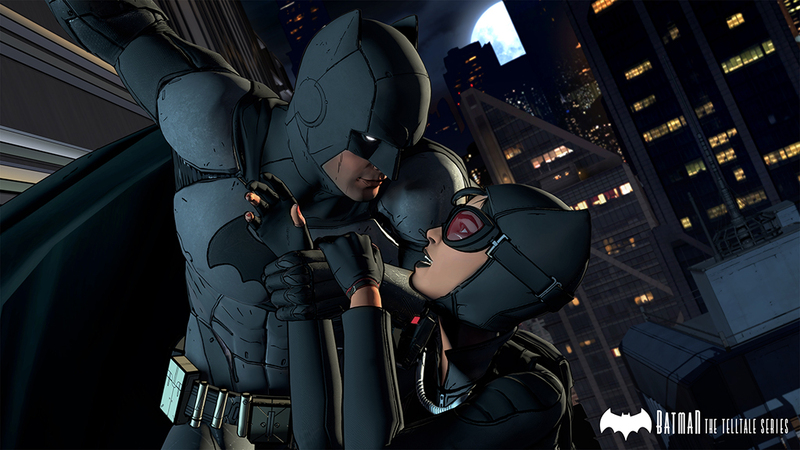 "We've been hard at work at Telltale creating an all-new iteration of the iconic Batman story that puts players in the suit of billionaire Bruce Wayne, just as much as it will put them behind the mask, deciding how to carefully navigate a complex drama, rich with action, crime, corruption, and villainy lurking around every corner of Gotham City. The complex life and fractured psyche of Bruce Wayne has lent itself to becoming a bold evolution of the signature 'Telltale' role-playing experience, and we couldn't be more excited as we prepare to debut the series to players across the world this summer." Batman has been rendered to look like a living, breathing comic book and will feature an award-winning cast of voice talent. Troy Baker in the role of Bruce Wayne, Travis Willingham as Harvey Dent, Erin Yvette as Vicki Vale, Enn Reitel as Alfred Pennyworth, Murphy Guyer as Lieutenant James Gordon, Richard McGonagle as Carmine Falcone, and Laura Bailey as Selina Kyle.